"Climbing [Lisboa]". Image by "Fabrizio Sciami" via Flickr; licensed under CC BY-SA 2.0. Easter is coming, which means the Acts of the Apostles is about to claim its annual place in the Revised Common Lectionary. Acts provides passages for the “first reading” until Pentecost has come and gone. This gives a preacher golden opportunities to expand a congregation’s imagination. With all of its thrilling adventures and bold sermons, Acts can exhilarate an audience. But those same features make the book difficult for many to stomach. Lots of people experience the narrative more like a comic book than a helpful or nuanced depiction of the life of faith. Esteemed New Testament theologian Paul Minear once worried that Acts might actually diminish modern Christians’ confidence in God, since Acts spins a tale full of miracles, conversions, and unmistakable discernment of the Holy Spirit’s leading.1 For many of us, life of faith involves much more trial and error, unanswered prayer, as well as dark nights of the soul. What do preachers need to know as they work with this colorful book, so it doesn’t turn audiences into observers paralyzed by incredulity, frustration, and insecurity? Most important, it is vital for lectionary preachers to put individual passages from Acts into a wider context -- actually two wider contexts. First, congregations need to get a sense of the overarching narrative context. Preachers should explain the larger stories. During Easter, the lectionary chooses passages from Acts that showcase apostolic preaching and instances of unusually heroic witness. The lectionary’s underlying logic seems to be that Acts provides examples of what it looks and sounds like when believers give testimony about the resurrected Jesus. This is especially the case in Year A, when the lectionary lingers over Peter’s intricate Pentecost sermon and the community that springs into being as a result (Easter 2, 3, 4), and when congregations observe the slaughter of Stephen (Easter 5) and Paul’s homiletical dexterity before a curious yet suspicious crowd of Athenian intellectual elites (Easter 6). If we aren’t careful, congregations will hear those texts as syrupy nostalgia or as simplistic templates for what to believe, how to convert others, and how to die. The lectionary’s choices risk leaving a congregation unable to experience the wider narrative of Acts and to appreciate the narrative’s capacity to display ambiguity and the realities of ordinary faithfulness. Good sermons can paint the bigger picture. A sermon’s audience also benefits from hearing about, second, the thematic context. Don’t refer to Acts as the history of the early church. That definition is too narrow and distorted -- to say nothing of boring -- especially since most of us operate with very limited understandings of the word history. At one level, Acts tells a story of Christian communities trying to discover and articulate who they are. This happens through the story’s actions and the story’s sermons, through advances and setbacks, debate and discovery. The book depicts believers living into new realities -- realities that they don’t fully understand but that they believe spring forth from the resurrection and ascension of God’s Messiah. The people in Acts operate out of a core conviction that nothing can be the same anymore, because of what has happened to Jesus. Their world has experienced upheaval in every way (Acts 17:6). As Acts tells its story, often it’s as if Jesus’ followers cannot express that fundamental truth of an upended world without relying on wonder, hyperbole, and rhetoric about a divine intrusion. Acts pulls no punches in attempting to impress upon its readers that the whole world should look different to them, because now anything has become possible. What are the new possibilities? There are many, and Acts suggests that the word of God never finishes creating additional ones. 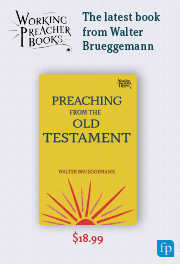 Each passage can lead a congregation deeper into manifestations of the basic theological conviction that God has altered the world’s systems and assumptions. God is keeping promises. God is creating communities that manifest salvation. God is welcoming those who suffer. God is reshaping our religious imaginations and calling them out for being too small. God is quite active in Acts. The church is mostly trying to keep pace. Perhaps things are not so different today, after all. Sermons about Acts allow congregations to consider how they might be responsive to an “intrusive God” and a “disruptive gospel,” as I’ve described those ideas elsewhere.2 Acts insists that God breaks in and interferes. The lives, allegiance and priorities of Jesus’ followers are disrupted time and again. Our own insights and confessions don’t need to be as breathtaking as those in Acts. We might find other, more measured ways of characterizing the church, its opportunities, and its struggles. But if we nevertheless read Acts as though it offers an invitation to think big, then we’ll have to contend with the questions What kind of God promises to raise the dead and bring the reign of God to fruition? What kind of priorities and commitments best express world-altering good news? If we read Acts as a story about fellow believers trying to give voice -- even a grandiose voice -- to their new, transformed realities, Acts will encourage us to ask questions about how we ourselves best bear witness to the good news in our own lived contexts. It will encourage us to be daring as we do so, lest we make the mistake of presuming that the status quo is the only reality available to us. And so, we return to a preacher’s basic dilemma: “If I tell people that Acts encourages them to see that anything is now possible, they’re just going to be disappointed before they get to next Sunday.” Maybe. But Acts is more interested in unleashing imaginations than it is in fostering caution and prudence. Let different biblical books take care of those other tasks. But make those books wait until Easter is over, first. 1 Paul S. Minear, “Dear Theo: The Kerygmatic Intention and Claim of the Book of Acts,” Interpretation 27 (1973): 131-50. 2 Matthew L. Skinner, Intrusive God, Disruptive Gospel: Encountering the Divine in the Book of Acts (Grand Rapids: Brazos, 2015). In this book for Christian leaders and laypeople, I explore Acts as a story about a God who regularly upsets the status quo.